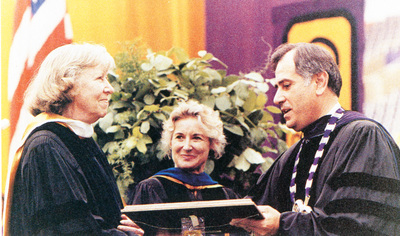 "1991 honorary doctorate with C. Curris & B. Lounsberry"
"1991 honorary doctorate with C. Curris & B. Lounsberry" (1905). Noteworthy People of UNI Photographs. 55.